THE Place For Fabulous Food & A Tail Waggin' Good Time!! We put the 'EAT' in EATonville! Visit us for great scratch-made food. Place your order online and enjoy the comfort of your car!! Just use the back window for pick-up!! FOR FASTER AND BETTER SERVICE, AND TO AVOID ISSUES, PLEASE DO NOT WRITE IN EXTRA ITEMS. Extra cheese, sauces, bacon, gravy etc are all in the ordering system. Use write-ins to ask for things cooked more/less or to leave things off. THANK YOU!!! We appreciate your assistance. 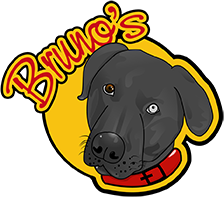 The one and only Bruno’s Family Restaurant & Bar in EATONVILLE! Bruno's is now serving loaded hash browns & home fries (add Bruno's Thick-Cut Bacon &/or shredded cheddar to any favorite! ONLINE ORDERS - To assist us in ensuring your order is made the way you want, and to avoid issues, please do not write in extra items. Any extra sauces, gravies, cheeses, bacon, avocados etc can be found on the system. Write in when want things left off or cooked a certain way. THANK YOU FOR HELPING US MAKE THIS A GOOD EXPERIENCE.